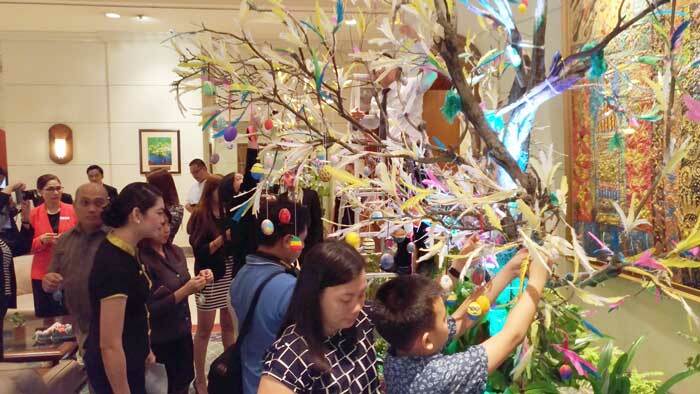 2,000 beautifully hand painted eggs were hanged on a feathered Paskris Tree set up at the lobby of Marco Polo Davao on Friday. 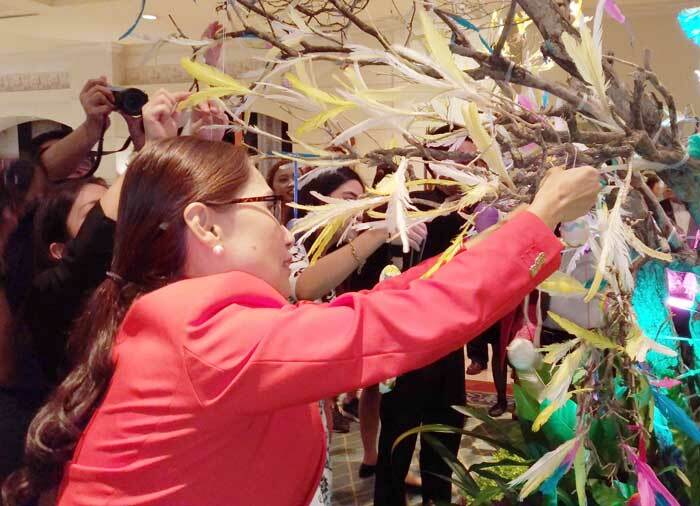 The Paskris Tree Ceremony was led by General Manager Dottie Wurgler-Cronin and was participated by the hotel’s heads of departments and associates. Paskris Tree is a Swedish equivalent of Easter Palm. Palm twigs and leaves are not indigenous to Sweden so they use tree twigs to symbolize the palm leaves that Biblically were waved and placed on the ground for Jesus and his disciples to walk on at his glorious return to Jerusalem. 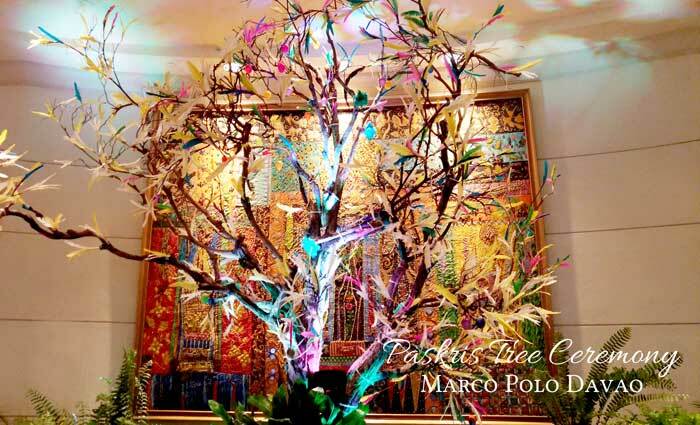 The Paskris Tree Ceremony was the first at Marco Polo Davao. 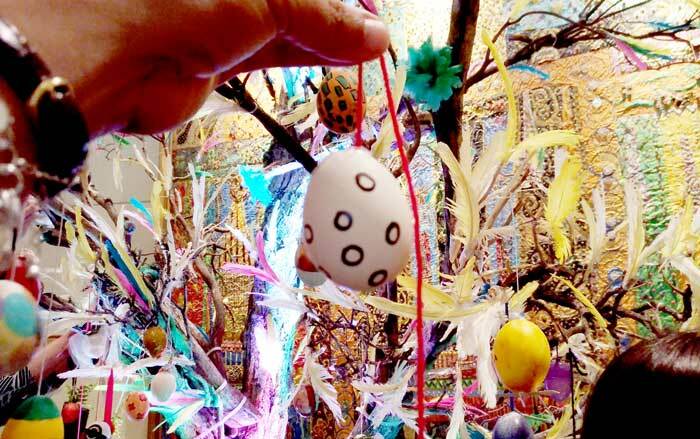 Each egg hanged on the tree comes with a corresponding donation to the Missionaries of Charities. 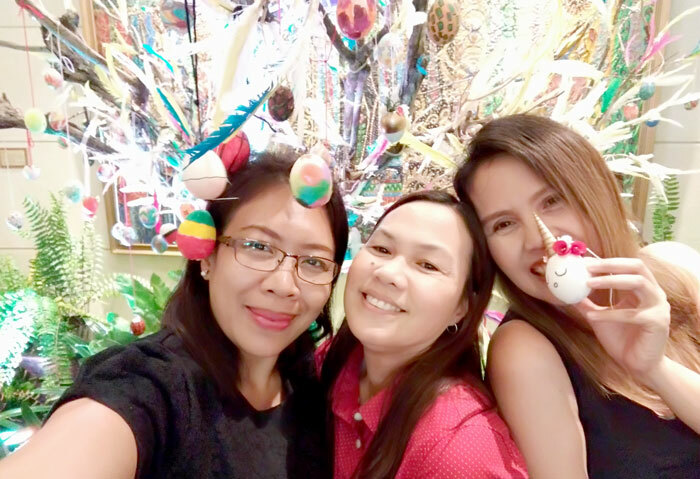 With the overwhelming support and positive feedback it garnered from the associates and guests, Marco Polo Davao intend to make this activity a yearly tradition. 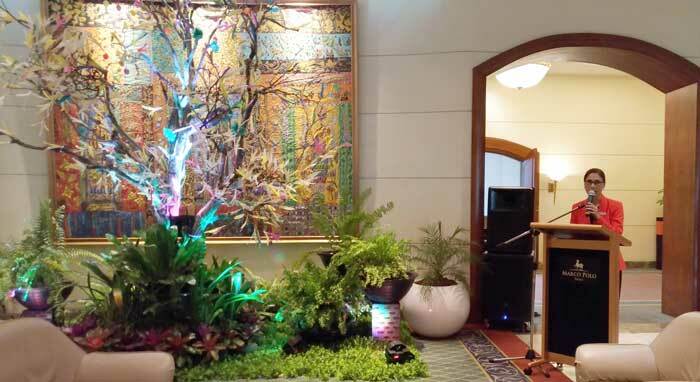 At the ceremony, GM Dottie Wurgler-Cronin thanked the associates and their children for putting up such creative feat and encouraged guests to take part in this artful charitable event as this is part of the hotel’s commitment to give back to the community. 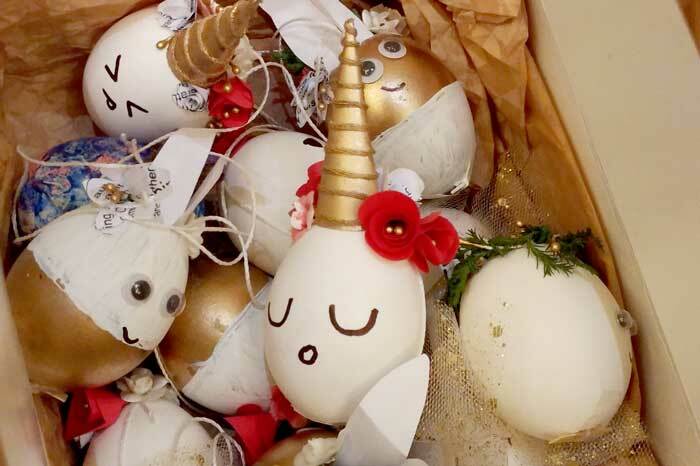 If you want to be part of this worthwhile, fun and artful charitable endeavor, you may approach the hotel’s front desk and they would be more than happy to assist you on how you can extend your help via your donation and hang hand painted eggs on the paskris tree in return. 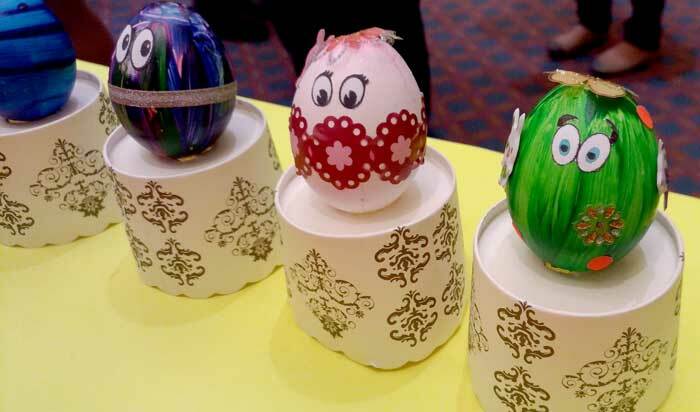 Marco Polo Davao also invites you to join the Egg-citing Easter Party to be held at the Grand Ballroom on April 16 at 9am. 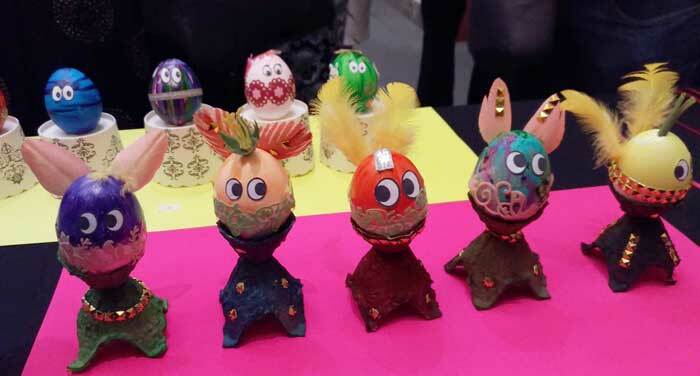 Tickets come with plated snacks, admission fee and lots of giveaways.